Successful adaptation strategies for freshwater organisms need to consider how climate change affects spatial patterns in water temperature. Water temperature, a main driver of ecological processes in streams and rivers, is projected to warm throughout the Pacific Northwest as a result of climate change, further stressing the freshwater biota. For 30 large rivers throughout the lower portion of the NPLCC domain, remotely sensed spatially continuous maximum water temperature data will be used to map the location of cold water patches, identify the landscape and hydroclimatic drivers of cold water patches in the rivers, and determine how detection of cold water patches in the rivers depends on the spatial resolution of the water temperature data. Additionally, a vulnerability analysis will be completed to pinpoint locations within the rivers where climate change may affect cold water patches. Using two case study watersheds, one in Oregon and one in California, researchers will demonstrate how conservation planners can adapt existing Pacific salmon conservation plans to incorporate expected changes in thermal heterogeneity as a result of climate change. Results of this research can be used to identify locations where stream temperature patterns will be most responsive to climate change and will enable conservation planners to choose strategies that will promote future thermal diversity. 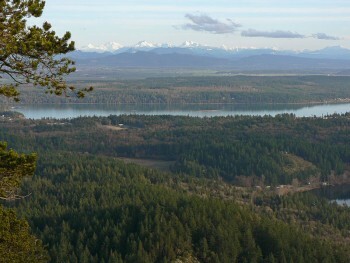 North Pacific Landscape Conservation Cooperative (NPLCC). NPLCC Project Page.